This current proposal is in my opinion the worst of the lot. The northern facade facing Bourke Street is abysmal! The podium reminds me of Dalgety House a little further up the hill on Bourke Street as well. It will be blocked by Tower Melbourne, so no biggie! Dull but competent architecture + huge floor plates = very likely to get built. Unfortunate but true. I agree with Peter. It is not the best of the lot. However, this has a better chance of getting built! Dissapointing week for commercial proposals in a whole, fat (not phat) and stumpy seems all the go now in everything commercial. Just so wish that they would choose the Fender Katsalidis proposal instead! The FK design was the greenish blue one right? If so, then yep, I wish as well. Both of these proposals were Fender Katsalidis designs. This was approved in May. It's the prime CBD retail centre that shoppers forgot. Launched with great fanfare in 2007, The Foundry has become an empty shell sitting on the edge of the busiest shopping precinct in the city, Bourke Street Mall. It's main entrance is closed, sealed off after the last tenants fled the three-storey arcade that once promised to be a ''sophisticated environment'' delivering ''a new standard of convenience and service retail'' linking Bourke and Little Collins streets, according to advertising materials. 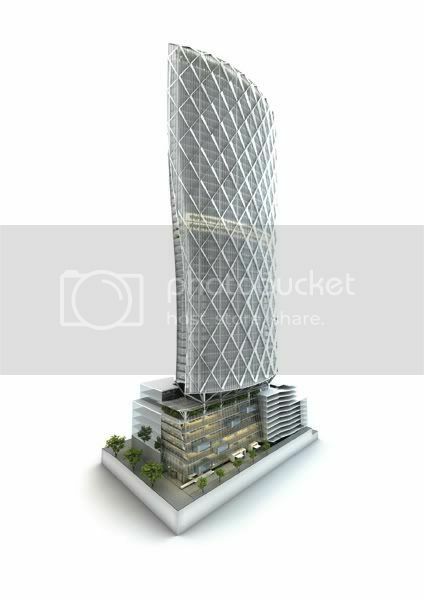 Earlier this year, Planning Minister Matthew Guy granted approval to clear part of the site to build a 39-storey tower with 60,000 sq m of office space and 3700 sq m of retail. I like it. Website states a superficial 2017 completion date. 2017 - one could only hope. FK & Woods Bagot? whats the go with the website? Yeah it is confusing. Earle Arney from Woods Bagot has joined FK so now they include all his projects on the website as well as the FK stuff. Looks like advertising signage has been placed around the site. That shot is so in need of Tower Melb. For almost any other site I'd say that facade was pretty bland and not as good as what it's replacing, I can't say it in this case though. I'm disappointing with the overall result though, we had something unique proposed and now it is an unimaginative glass box. Hopefully something curvy comes to the city again soon. The section suggests the laminated glazed extrusions have been retained. 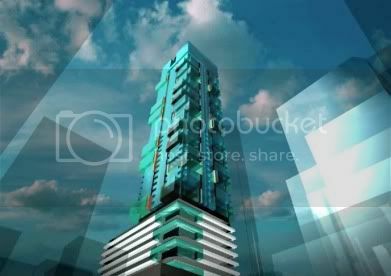 The latest rendering indicated the building is a bit taller than the rendering submitted with teh planning application.